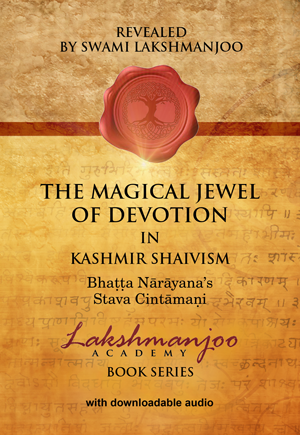 This book, “The Magical Jewel of Devotion in Kashmir Shaivism - Stava Cintamani” as revealed by Swami Lakshmanjoo, is a sublime and unique hymn addressed to ‘Lord Shiva’, whom the author, Bhaṭṭa Nārāyaṇa, clearly holds as the Supreme Reality. 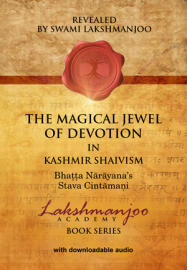 Though these hymns are both practical and deeply philosophical, the constant theme that runs like a thread through the one hundred and twenty verses is that love and devotion towards Lord Shiva is everything. Here Swami Lakshmanjoo shares with us the secrets gleaned from the ancient masters of his oral tradition.